iThemes Exchange makes it easy to get set up and selling online. 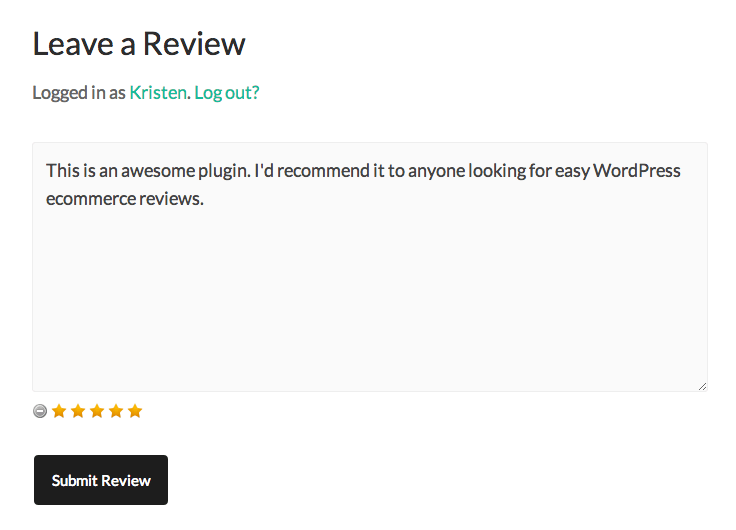 Your ecommerce site can be even better by adding customer reviews! Easy E-commerce Reviews by Clif Griffin was launched this week and can be added to your iThemes Exchange sites. There’s even a special discount for iThemes users, when purchasing the Pro version. Use code ITHEMES15 to save 15% off your Easy E-commerce Reviews Pro purchase. I installed Easy E-Commerce Reviews on iThemesSwag.com and was immediately impressed the plugin detected which ecommerce plugin I was using and assured me they would be compatible. Very cool. There are lots of awesome features, like Product Ratings. Customers can give your product 1-5 stars. You can even require a rating when a customer is writing a review. For site admins, you can easily see who has rated your products or left comments. It’s all integrated with your WordPress dashboard. Having reviews of products on your site from customers, provides immediate social proof. Just about all of us check for social proof of an item before we buy. We like to know what kind of feedback the product has received, so we know what we’re buying. Easy E-commerce Reviews makes leaving a review seamless. 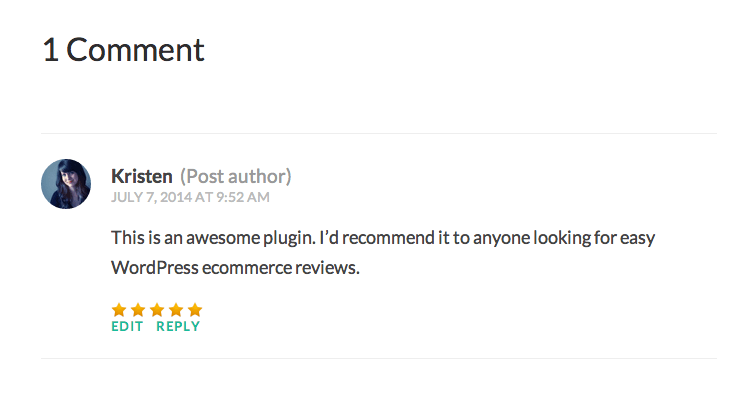 Since reviews are integrated with WordPress comments, you can approve or not approve any comment. In the Easy E-Commerce Reviews Settings page, you can select exactly what you would like customers and visitors to be able to do. 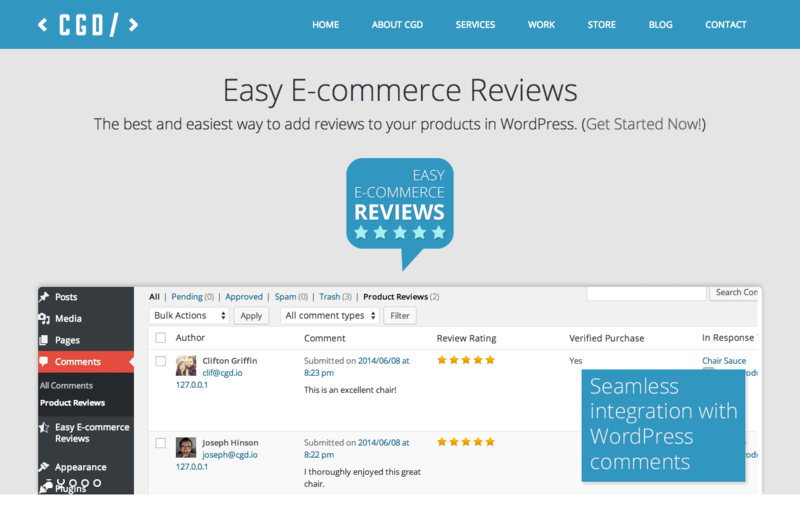 Easy E-commerce Reviews is a great addition to your iThemes Exchange site. iThemes Exchange, our free WordPress ecommerce plugin, makes selling your stuff online quick and easy. With Exchange, you can sell digital and physical products, plus memberships and invoices — all from your WordPress site.